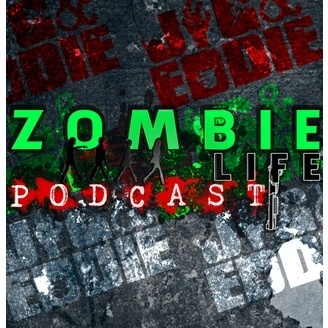 FROM THE ASHES OF A WORLD OVER RUN BY ZOMBIES, WE GIVE YOU THE ‘ZOMBIE LIFE PODCAST! The MIGHTY ZLP give you the best in HORROR, PARANORMAL & CONSPIRACY! With stars from the big screen to real paranormal investigations, from dark music and movie reviews to real life accounts of horror, possession and UFO abduction, the ZLP invites you into the world of entertainment only Eddie Rotten can provide. Zombies have never been more fun!!! Tune in, learn something you didn't know about surviving and KILL'EM ALL!!! TEXAS FRIGHTMARE WEEKEND ALEX SANCHEZ - DARK CLOWN STUDIOS BILLY PON - CIRCUS OF THE DEAD BRENDA DICKERSON - BRENDA FEST AND CORY TREYHANS BAT CITY SCAREGROUNDS LYLE BLACKBURN - MOTHMAN FILM MATT TOLSON AND JERRY FROM EVOLUTION OF THE APOCALYPSE Look all these champions of fear and wonderment up on facebook and twitter and instagram etc. YOU WONT REGRET IT!!! 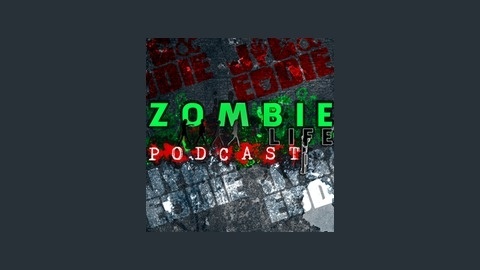 Download this show, give us a like and a thumbs up and tell us what you think!!! KILL'EM ALL!! !